We recommend checking out our discussion threads on the Aquatica A7D Mk II Underwater Housing for Canon 7D Mark 20077-KM, which address similar problems with connecting and setting up Still Cameras & Housings Aquatica. 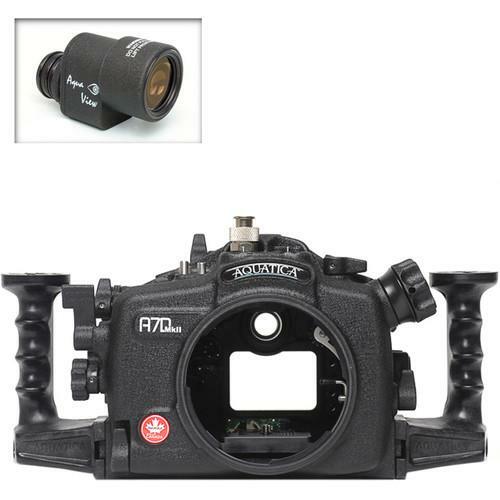 The user manual for the Aquatica A7D Mk II Underwater Housing for Canon 7D Mark 20077-KM provides necessary instructions for the proper use of the product Photography - Underwater Photography - Still Cameras & Housings. 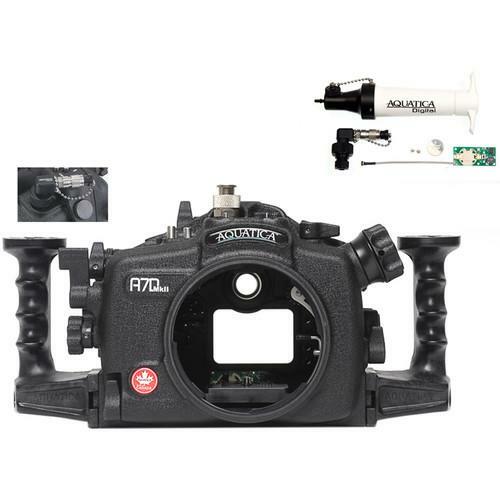 Capture the world beneath the sea in detailed still photos and Full HD 1080p video with your Canon EOS 7D Mark II DSLR, thanks to the Aquatica A7D Mk II Underwater Housing. It has a depth rating of 295', which is upgradeable to 426' for free upon request. An Ikelite manual strobe connector enables the attachment of optional external strobes via sync cords. The standard, coated eyepiece offers a full view of the camera's viewfinder. The housing provides access to all camera functions via mechanical controls. It also has an ergonomic design with 2 grips that offer improved handling and attachment points for optional lighting arms. Built for durability, especially resistance to corrosion, the housing is constructed from anodized, machined aluminum and stainless steel. The A7D Mk II ships without a required lens port, though various interchangeable ports are available for wide-angle, macro, and zoom lenses. For full compatibility, see Type 2 Port Chart and Type 4 Port Chart. 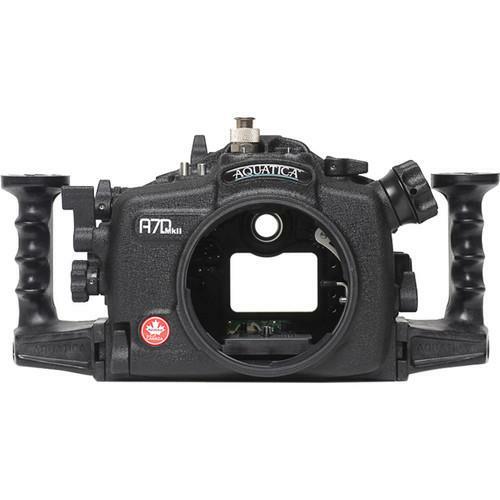 If you own a Aquatica still cameras & housings and have a user manual in electronic form, you can upload it to this website using the link on the right side of the screen. The user manual for the Aquatica A7D Mk II Underwater Housing for Canon 7D Mark 20077-KM can be downloaded in .pdf format if it did not come with your new still cameras & housings, although the seller is required to supply one. It is also quite common that customers throw out the user manual with the box, or put the CD away somewhere and then can’t find it. That’s why we and other Aquatica users keep a unique electronic library for Aquatica still cameras & housingss, where you can use our link to download the user manual for the Aquatica A7D Mk II Underwater Housing for Canon 7D Mark 20077-KM. The user manual lists all of the functions of the Aquatica A7D Mk II Underwater Housing for Canon 7D Mark 20077-KM, all the basic and advanced features and tells you how to use the still cameras & housings. The manual also provides troubleshooting for common problems. Even greater detail is provided by the service manual, which is not typically shipped with the product, but which can often be downloaded from Aquatica service. If you want to help expand our database, you can upload a link to this website to download a user manual or service manual, ideally in .pdf format. These pages are created by you – users of the Aquatica A7D Mk II Underwater Housing for Canon 7D Mark 20077-KM. User manuals are also available on the Aquatica website under Photography - Underwater Photography - Still Cameras & Housings.